Set up by now well-known entrepreneur Sir Alan Sugar in 1968, Amstrad started life producing low-cost TV and audio products. It was not until the 1980s that they moved into the Home Computing market. This was an attempt to capture market share that had been dominated by Commodore and Sinclair up until that point in time. The companies strategy revolved around providing low-cost consumer electronics. Profit margins were maximised by finding ways to cut costs at point of manufacturing. Sir Alan Sugar has always been quite frank around his business objectives. He has been quoted as saying that “At Amstrad, we want your money” as well as this about one of his own products – The Amstrad 8000 amplifier “The biggest load of rubbish I’ve ever seen in my life”. Very much a realist, Sir Alan continues to this day with his ‘no fuss’ and blunt approach to business. Very much in the way that Sinclair entered the home computer market, Amstrad entered following producing consumer electronics. They were soon to become fierce competitors. 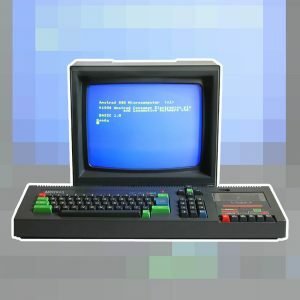 Amstrad’s own home computers never got the foothold in the UK that Sinclair did with the ZX Spectrum. They did, however, prove more successful in other European regions such as France, Spain & Germany. 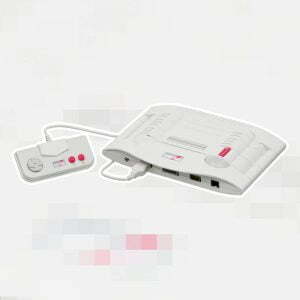 Amstrad produced many variants of the CPC, including ‘Plus’ versions which included integrated tape and disk drives. Their final home computer/console based product was the GX4000, a console version of their CPC. Beyond the companies venture in home computing, they attempted to crack the PC and business market with limited success. Most significantly Amstrad’s ongoing contract with Sky for whom they produced set-top boxes continued for many years. BSkyB bought Amstrad in 2007 for £125m and Sir Alan Sugar stood down as Chairman the following year.